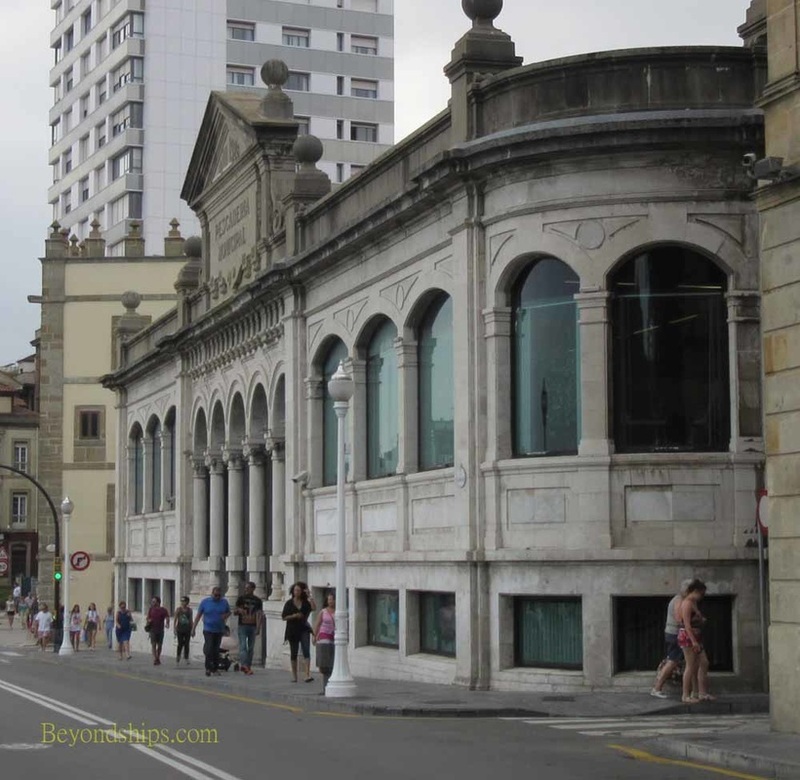 Gijon's old city, known as the Cimadevilla district, is the historical center of the city. 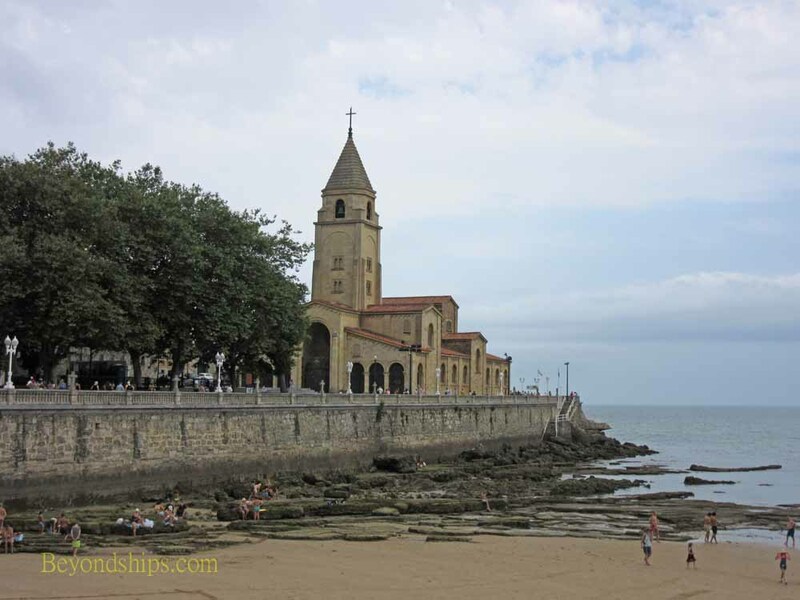 It lies on a peninsula dividing the San Lorenzo beach from the Pontiente beach and the industrial areas to the west. 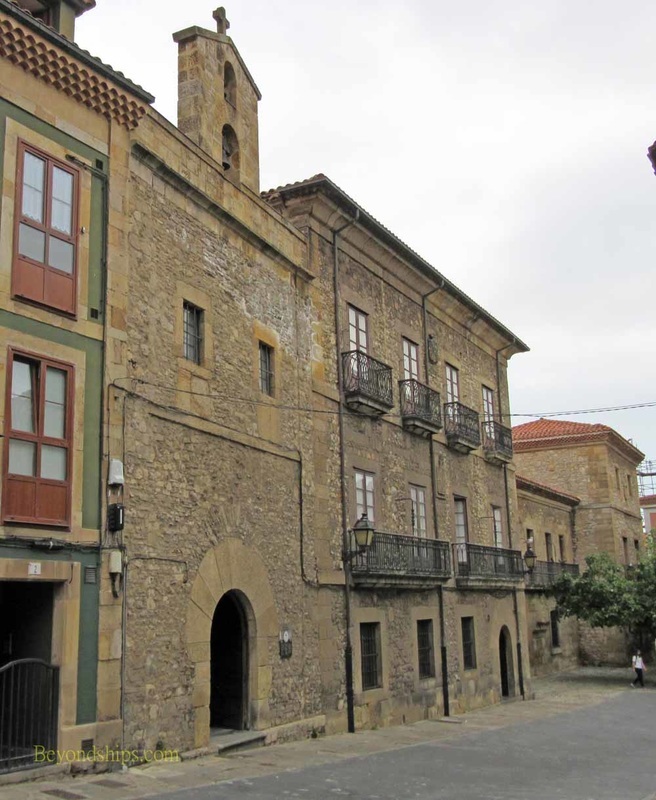 Cimadevilla is full of historic landmarks, museums, shops cafes and restaurants. The area is walkable and cars have been excluded from some streets. Cimadevilla was once a Roman settlement. 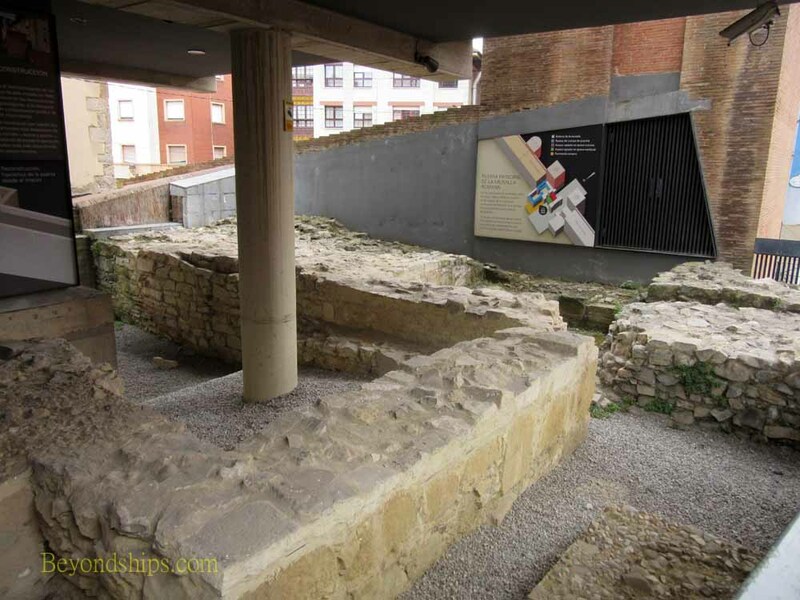 In the field in front of the Church of San Pedro is the Campo Vades Roman Baths Museum. Ruins of Roman baths were discovered during the renovation of the San Pedro church in 1903. However, they were not opened to the public until 1965. The baths date back to the 1st century although portions were constructed later during the Roman era. They were not merely utilitarian but were a part of the social life of the community. Citizens would meet here to socialize as well as to luxuriate in the facilities. Elsewhere in Cimavilla are other excavations including a portion of the Roman wall, the main gate and a tower. 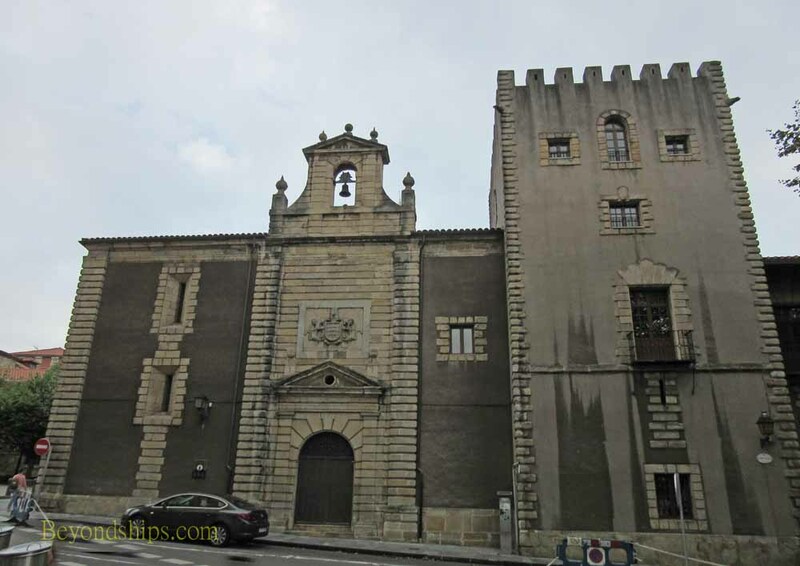 Perhaps the most impressive building in the Old City is the Palacio de Revillagigendo, which fronts onto the Plaza de Marquess. The palace was built by Carlos Miguel Ramirez de Jove, First Marquis of San Estaban del Mar del Natachoyo. Subsequently, the family added the title Count Revillagigendo, hence the name of the palace. Completed in 1721, the palace incorporated a pre-existing tower. Thus, one of the Palace's two square towers is fifteenth century and one is eighteenth century. Overall, the architectural style is baroque. Adjacent to the palace is the Collegiate Chapel de San San Juan Bautista. It was completed shortly after the palace. Since 1991, the palace has housed the Cultural Cajasur Palacio Revillagigendo and has exhibitions of contemporary art. 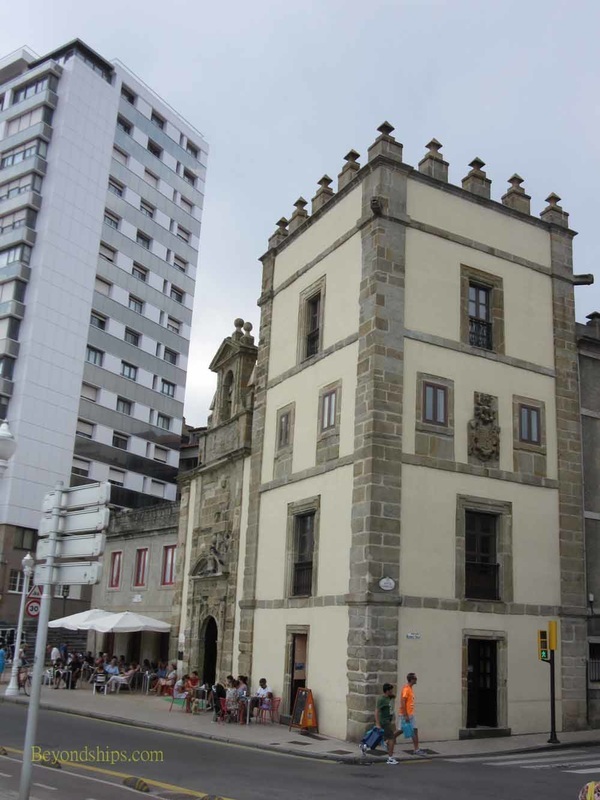 Art can also be found at the Museo Casa Natal Jovellanos. Gaspar Melchor Jovellanos was born on January 5, 1744, in the 15th century mansion that now houses this museum. Jovellanos was a, jurist, poet, playwright, economic reformer and statesman. The museum opened in 1971. One part of the museum is dedicated to the life of Jovellanos and includes furniture and personal items that belonged to the Jovellanos and his family. The other part of the museum is dedicated to Austrian painting and sculpture although there are also some works by other European artists. There are some 3,000 works in the collection. Attached to the mansion is the Chapel of the Remedies. It dates from the 15th century and is the last resting place of Jovellanos. 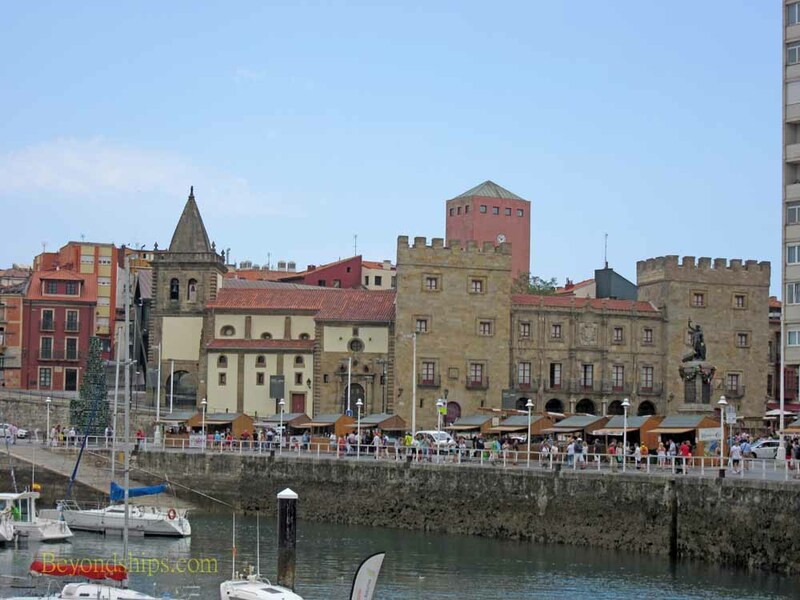 Also within the Old City is Gijon's Plaza Mayor. 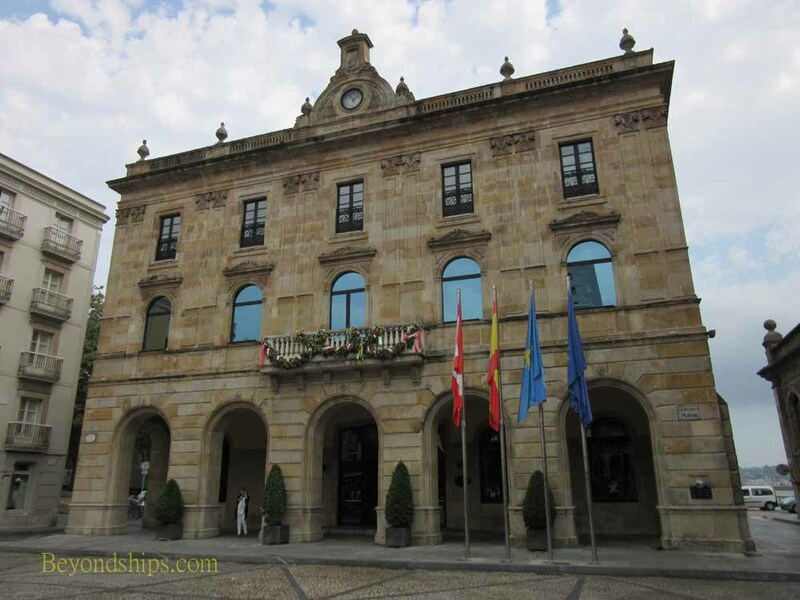 Designed in 1852, it is relatively small compared to the plazas in other Spanish cities. At one end of the Plaza is the Town Hall, completed in 1867 (left). An arcade encloses two of the other sides of the Plaza, thus leaving the fourth side somewhat open. Located around the Plaza are restaurants, cider houses and shops. The Plaza is also used for temporary markets, fairs, festivals and concerts. Some other buildings of note in the Old City include: the Jove Hevia Tower and San Lorenzo de Tierra Chapel (above) which dates from 1666 and which is now used for art exhibitions; the Valdes Palace and the Chapel of Our Lady of Guadalope (above right) date from the 16th century; and the Antigua Pescadeerra (1928), once the fish market and now municipal offices (right).